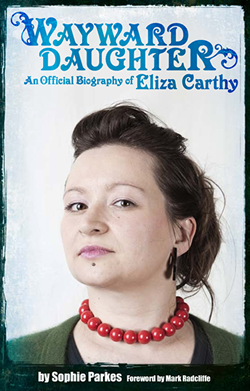 Wayward Daughter: An official biography of Eliza Carthy: Stolen! Poor Colin Irwin. On his way to a festival in Norway, he had his bag stolen from the airport which contained his laptop, passport... and his copy of Wayward Daughter that he was halfway through! Most importantly, though, he's lost six months of research for his new book. Let's hope you backed up, Colin, as we're looking forward to reading it! You can find the latest installment of Colin's Spiral Earth column here.